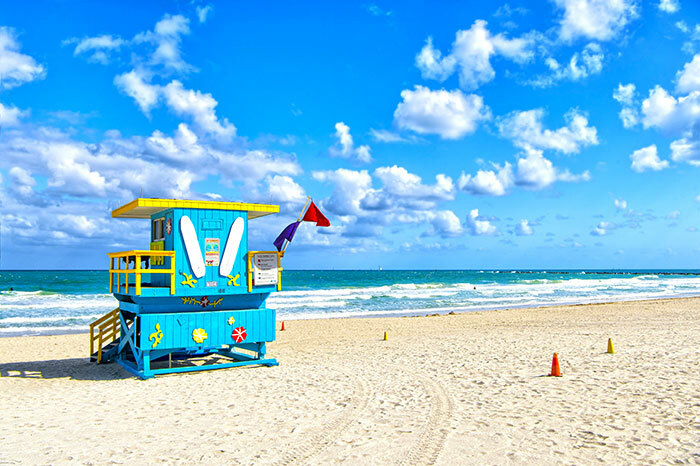 If Miami were to be known for only one thing it would be their beaches, and for good reason too. The silica here is beautiful, pristine and offers up a variety of activities, so whether you want to join in on a volleyball game, enjoy a barbecue, walk your dog, or simply soak up the sun, then the Miami coastline has you covered. People-watch and skate along the promenade at South Beach, try your hand at fishing or jog under the palm shaded beach of Bal Harbour. For something a bit more low key, why not go for a quiet walk along the mile-long uninterrupted stretch of Surfside Beach, where you’ll find a gentle escape from the hustle of Miami? These fabulous beaches provide a gateway to activities just off the coast too: you can hire a speed boat or a jet ski, go windsurfing, or even strap into scuba gear and dive into Miami’s unique marine ecosystem. After a busy day on the sands, head for South Beach after dark – it's home to some of the most famous nightclubs in the world, with big-name DJs frequently playing the night away. When it comes to sunshine and warmth, Miami certainly delivers. Even if you visit during hurricane season (June-November, a raincoat is advised) there's still no need to bundle up as the Gulf Stream prevents the temperature from dropping below 20°C year round. December to May offers what Miami considers to be mild temperatures with dry skies, though travel towards the end of this period and you’ll find the temperatures creeping up towards the 30°C mark. To avoid the worst of the rain, mid-August through September sees the peak of the wet season. The beauty of Miami is that you can still top up your tan while admiring the Art Deco buildings that line its beachfront. The area essentially functions as one giant open-air art gallery and is even home to the annual Art Basel festival, which showcases modern and contemporary art from across the globe. To really get immersed, take a guided tour of the Art Deco district, with its 1,000+ extravagant and eclectic buildings – all built in the 1930s within a single square mile. 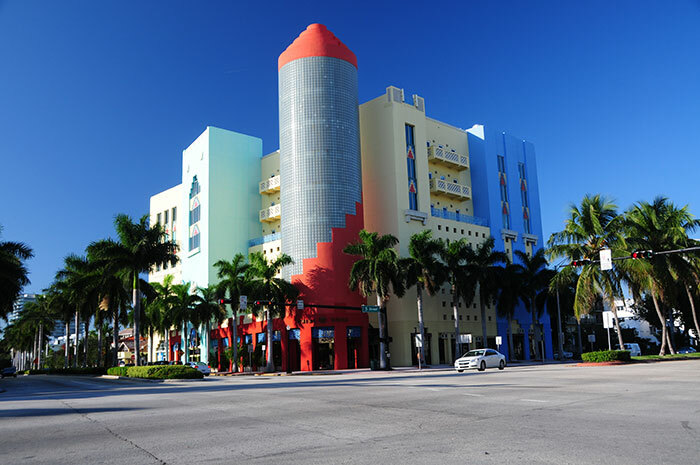 Ocean Drive is undoubtedly the most picturesque Art Deco street on Miami Beach, with countless colourful hotels lining the pavement. Miami isn’t the capital of Latin America for nothing. Not only is it closer to Havana than the Florida state capital Tallahassee, but it also boasts one of the largest Hispanic populations in the US. The influence is all over the city and the results are beautiful. 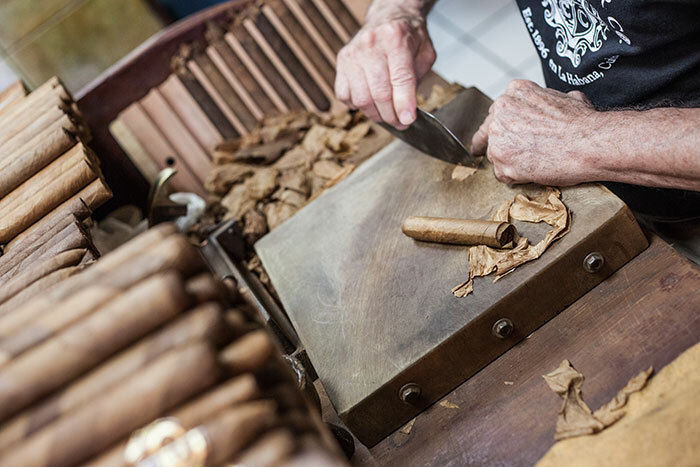 Little Havana is full of vibrant street life, an abundance of local businesses, museums, theatres and the most fantastic and authentic Cuban food you’ll probably ever eat outside of the country itself. Even the nightlife has taken on a Cuban influence with traditional music being played in bars all over the city, not just Little Havana. The neighbourhood hosts a number of well-known events including Calle Ocho Festival, Cultural Fridays and the Three Kings Parade, and is a great place to experience true Cuban-American culture. Short of travelling to Latin America itself, Miami may just be home to the best Latin American food in the world. 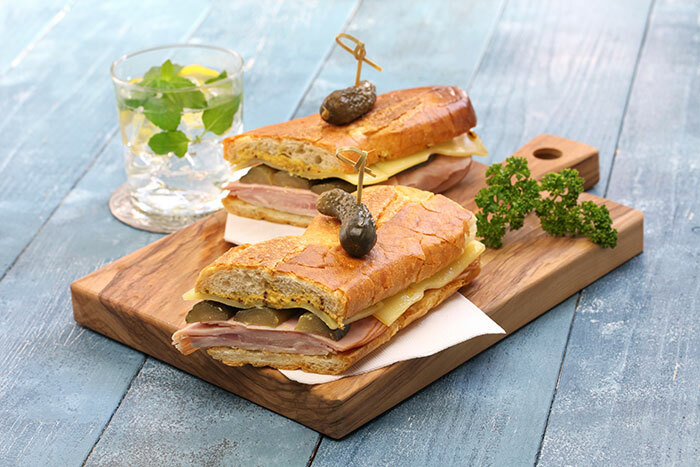 As already mentioned, Little Havana is the place to go for authentic Cuban cuisine but its not the only place offering up immensely satisfying food; across Miami you'll find Peruvian, Mexican, Haitian, Argentinian and Spanish dishes as well as Caribbean, West Indian and Jamaican comfort food. Miami is urban and modern but it’s nestled between two national parks, the only US city to boast as such. To the west sits the Everglades – that iconic subtropical expanse where alligators and crocodiles coexist. 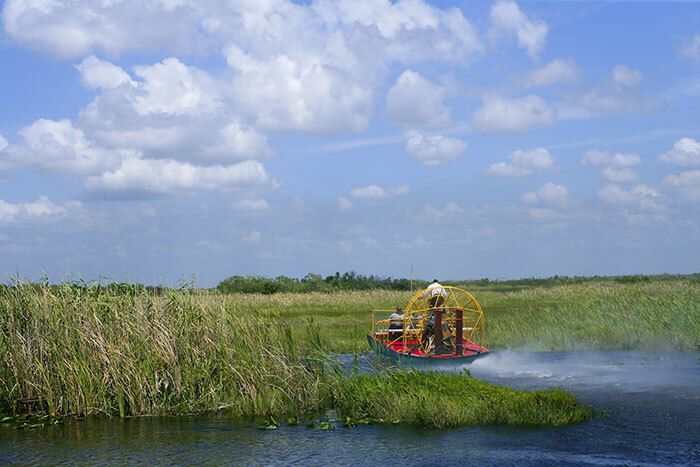 The Everglades offer up numerous ways to enjoy its rare offering, from hiking and biking trails to canoeing through Nine Mile Pond or taking an airboat tour, Gentle Ben style. Conversely, Biscayne National Park can be accessed from downtown Miami and protects the mangrove forests and waters of Biscayne Bay, home to America’s only living coral reef. The park can be explored by snorkelling, canoeing or even camping on a subtropical island. Beyond its Cuban influence, Miami still has plenty of history to share. 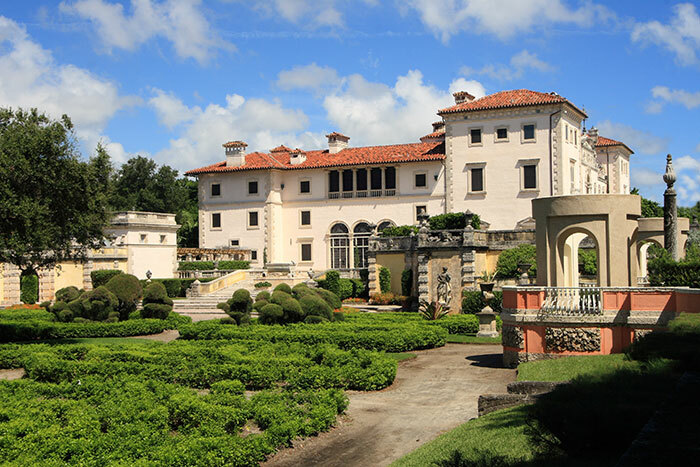 No visit would be complete without a trip to the Vizcaya Museum and Gardens, built in 1914 by James Deering using authentic Spanish and Italian materials, while incorporating large pieces of disassembled European castles. Situated at the mouth of the Miami River and surrounded by a busy 21st century downtown, the Miami Circle is the remnant of a 2,000-year-old Tequesta village which now stands as a National Monument to the Tequesta Native Americans who originally called this place home. The monument was discovered in the 1950s, when a building was torn down to make space for a modern high rise. Discover Miami on one our our city breaks, beach Escapes or tailor-made holidays called Journeys. Make an appointment with a Travel Expert to find out more.